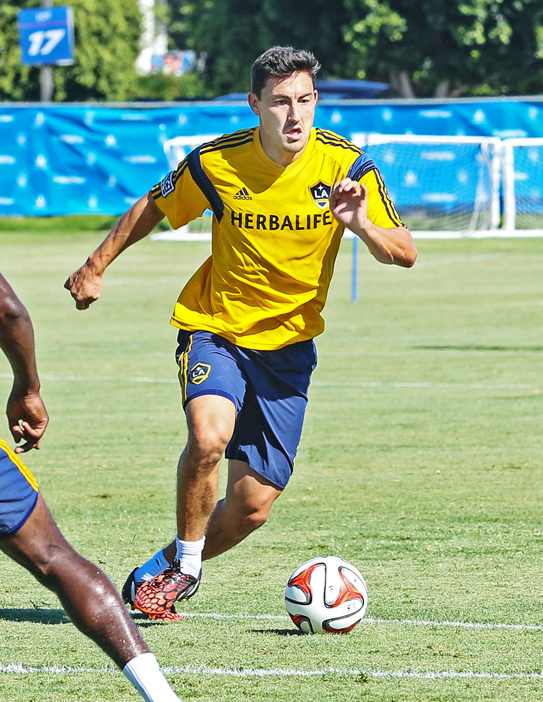 L.A. Galaxy midfielder Stefan Ishizaki is counting his lucky stars as the team vies for its fifth MLS championship. CARSON.–A generation ago, the idea of a top-drawer soccer player coming over from Europe to play in the U.S. – where we refer to a completely different sport as “football” – was one that usually arose after more than a few pints at the local pub. The Los Angeles Galaxy began the 2014 playoffs last Saturday with a 0-0 draw at Real Salt Lake, as Major League Soccer has not only shown staying power, but is looking to expand with the backing of heavyweights that include a Lakers legend and Dodgers owner. The Galaxy will by vying for their fifth MLS cup, and their first since 2012. Winning the championship would put them atop the heap in titles since the league began play in 1996. The team will play the second and final leg of their first-round playoff against Real Salt Lake on Sunday at the StubHub Center. Since neither team scored in the first matchup, it will be a win-or go-home scenario on Sunday, with the victor advancing to the Western Conference Championship series against either Seattle or Dallas. 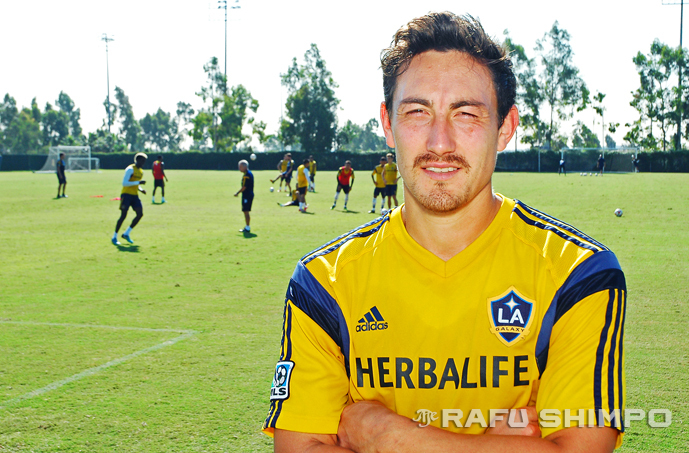 Ishizaki said he has been impressed with the spirit and work ethic in his first season with the L.A. footballers. Ishizaki has five goals this season, putting him fourth on the team, behind leader and British star Robbie Keene. He’s also tallied seven assists. Having come over to L.A. from FC Elfsborg in Sweden, where he helped his side win two championships, Ishizaki said American soccer is no longer seen as inferior. Ishizaki’s father traveled to Stockhom from outside Tokyo in 1970 and stayed after he met his future wife. The Galaxy’s influence on soccer stateside has been strong, but no all-encompassing. This week, Chivas USA – who shared the StubHub stadium with the Galaxy – announced its dissolution. A few days later, however, the formation of a new team, the L.A. Football Club, was announced, with an ownership group that includes former pitch star Mia Hamm and Magic Johnson. Ishizaki said the weather and the environment are a wonderful fit for him.